Dubai: The latest Dubai private schools ratings could be out as early as Wednesday, setting individual school fee hike limits for the coming academic year. It was announced in March that schools cannot raise fees by more than 4.14 per cent. With the latest ratings, individual schools can raise fees between 2.07 per cent to 4.14 per cent, depending on their individual rating — ‘very weak’, ‘weak’, ‘acceptable’, ‘good’, ‘very good’, or ‘outstanding’. Schools whose ratings slipped from the previous inspections will not be allowed a fee hike, while some schools have already said they will freeze or reduce fees for the new academic year. Schools whose ratings stayed the same can apply for a 2.07 per cent hike. After a gap of one academic year, parents of roughly 170 private schools in Dubai of various curricula will now know how much their children’s school can raise fees for the coming academic year, which starts in September for most schools. Ratings of over 30 Indian and Pakistani schools in Dubai, who follow a different academic cycle, were already released in January. However, there was then no announcement about the new school fee framework. The new school fee framework, revealed in March, means the average fee hike will be lower by 35 per cent compared to the last time schools were allowed a fee hike, Dubai’s Knowledge and Human Development Authority (KHDA) had earlier said. The KHDA school fee framework’s approval came in March from Shaikh Hamdan Bin Mohammad Bin Rashid Al Maktoum, Crown Prince of Dubai and Chairman of Dubai Executive Council, during a meeting of the council. The latest ratings evaluated by KHDA’s Dubai School Inspection Bureau (DSIB) and the Education Cost Index (ECI) set by Dubai Statistics Centre together determine what amount a school can raise fees. Also, the previously ECI was 2.4 per cent (0.33 per cent higher than now), meaning schools had been eligible for a fee increase between 2.4 per cent and 4.8 per cent. In an earlier statement in March, KHDA director-general Dr Abdullah Al Karam had said: “The fees framework takes into account the cost of living and financial expectations of families in Dubai. 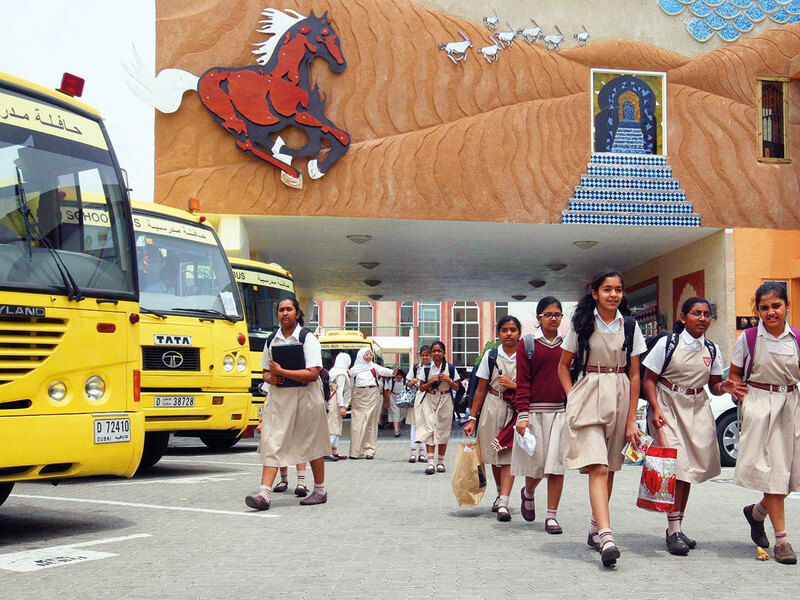 These measures will ensure almost 90 per cent of all students enrolled in Dubai’s private schools will no longer face fee increases above the set ECI [2.07 per cent]. Schools whose ratings improved from very weak to weak, or weak to acceptable, or acceptable to good — 4.14 per cent. Schools whose ratings improved from good to very good — 3.6225 per cent. Schools whose ratings improved from very good to outstanding — 3.105 per cent.